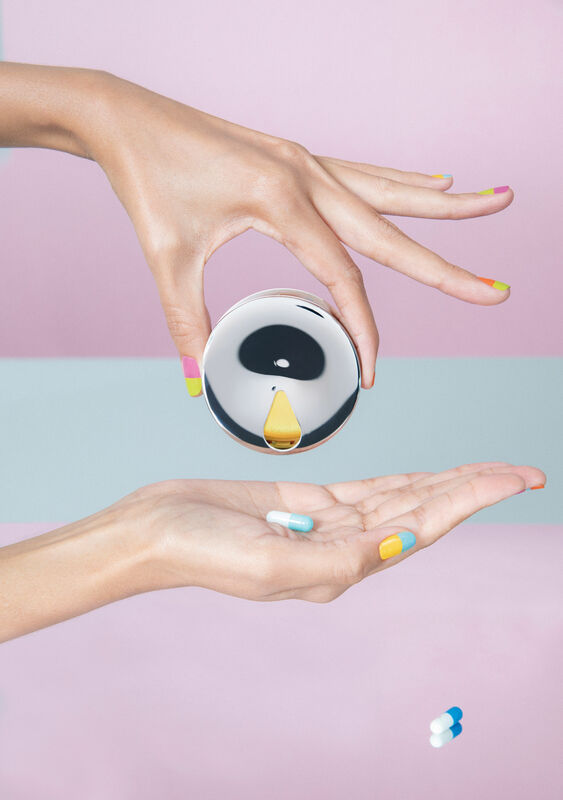 A trendy and fun pill dispenser... Yoyo is a pill box the design of which was inspired by the game which we all played when we were children. It consists of two stainless steel and thermoplastic resin disks brought together by an axis around which the string is theoretically rolled. Here there is no string, but Yoyo contains your drugs or your pills that you can easily take with you. Very handy when travelling or if you need to take medicine at work. Its small size allows it to be kept in your pocket or a handbag. 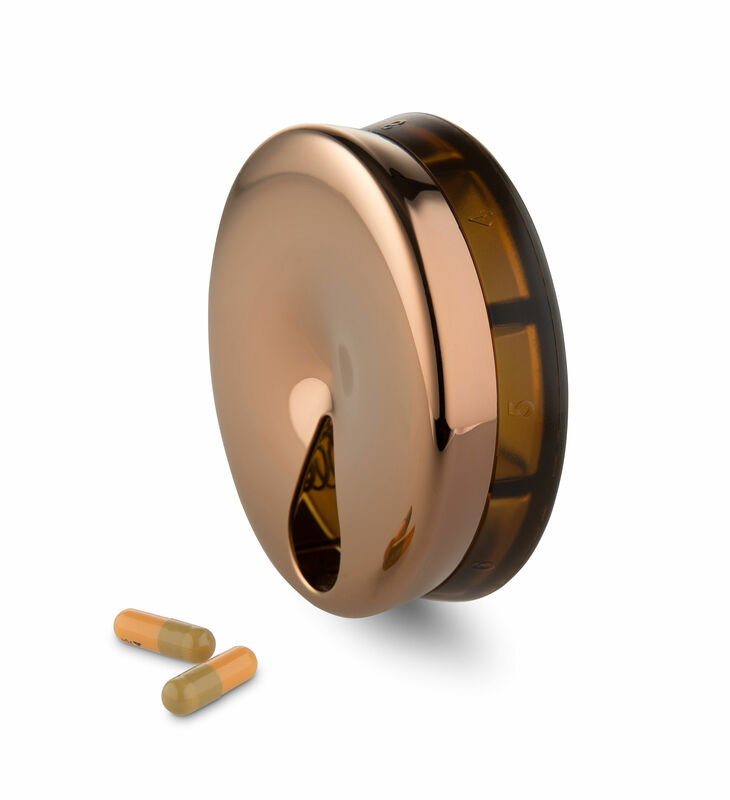 The lid opens manually, letting you open a small slit which will let out just one pill at a time. The designer, Michel Boucquillon, chose to give it this yo-yo shape as this toy reminds him of pleasant and reassuring memories. 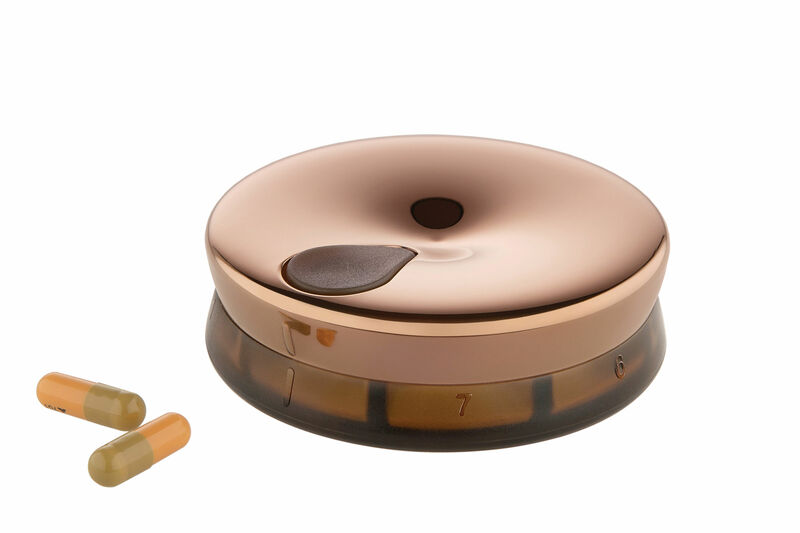 As such, the pill dispenser represents, in his eyes, a small round safe box, easy to use, as well as to carry, with an attractive and colourful design so you never forget it!